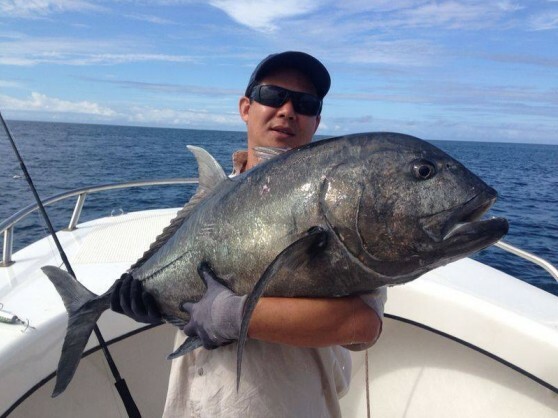 Target Species: Black Bass, Barramundi, Giant Trevally, Dogtooth tuna, Marlin, Napoleon wrasse, Coral trout, Yellowfin Tuna, Wahoo and much more. 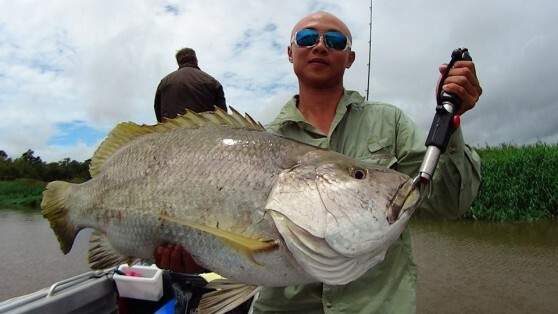 This trip combines the best of Black Bass and Barramundi river fishing with untouched coral reef and Bluewater fishing. 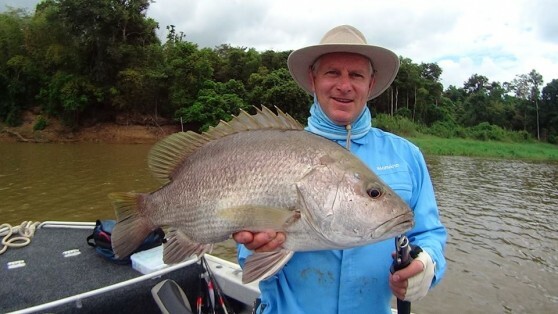 You will target everything from GT’s and Mackerel on the reefs to Black Bass and Barramundi in the rivers. 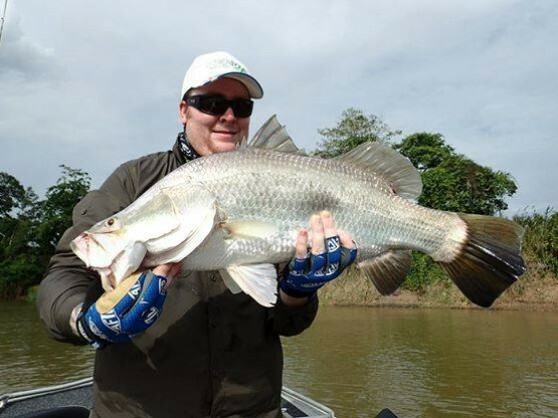 There are a multitude of rivers filled with Black Bass and Barramundi in this area, and your mothership will get you right up into them, from where your fishing boats will be launched allowing access to the small creeks and tributaries rarely fished. When fishing bluewater, the drop off of the shelf is very close to shore, and plenty of coral reef fringes this drop off. 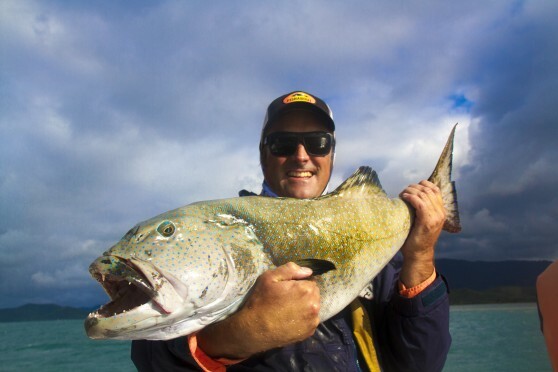 Here you will find plenty of pelagics including Wahoo, Tunas, Sailfish, Wahoo, GTs, Coral Trout and much more. Milne Bay is a large bay in Milne Bay Province, southeastern Papua New Guinea. 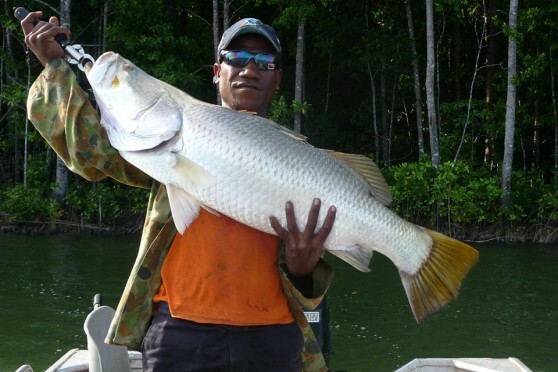 More than 35 kilometers long and over 15 kilometers wide, Milne Bay is a sheltered deep-water harbour, surrounded by the heavily wooded Stirling Range to the north and south, and on the northern shore, a narrow coastal strip, soggy with sago and mangrove swamps. The coral reef systems of Milne Bay are some of the most biodiverse in the world, and as such attract attention from anglers looking for untouched fisheries. The waters from the Amphlett group to the Trobriand Islands are poorly charted, and, as a result, are rarely visited. 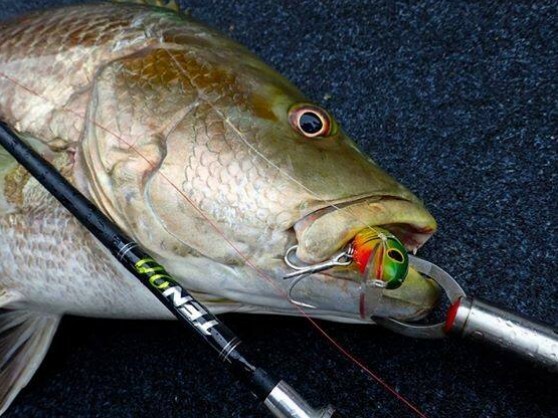 There are huge numbers of coral bommies that have never seen a lure. The Louissiade Archipelago is better charted, but the area still sees few general tourists. 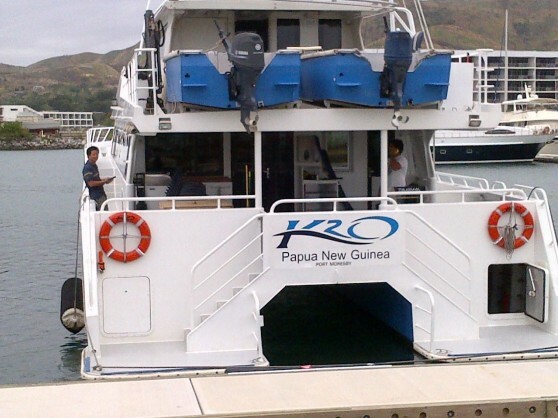 (K2O) is a 23.5metres long catamaran, custom built to explore rivers and seas of Papua New Guinea. 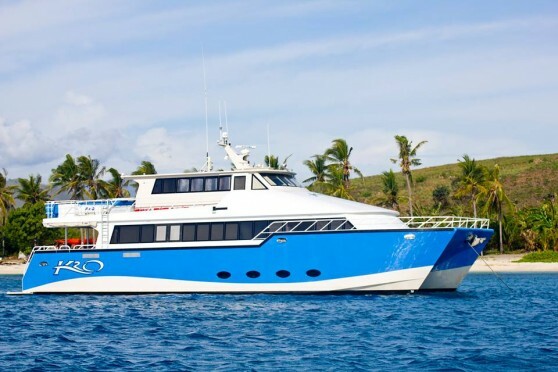 Equipped with shallow draft accorded by the Twin hull configurations, which is able to take you up close and personal into remote areas across Papua New Guinea. Safety and maximum satisfaction is a top priority during your expedition, and to safeguard this the vessel is fitted with the state of art navigation and communication equipment in each tender and latest marine engineering technology. 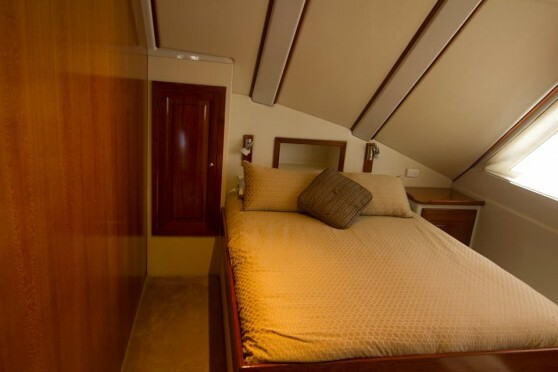 Enjoy live aboard comfort with 4 deluxe cabins (twin share), 2 x Staterooms with ensuite bathrooms to accommodate just 8 anglers. 23ft fibreglass boat with 40HP outboard motor, Comfortable to fish 2 to 3 anglers, Self-draining decks with in-build bilge pump, Safety rails and is equipped with Humminbird688 sounder& GPS, Life jackets, UHF Radios, Swivel seating for 3 anglers. Length 7 metres, Draft 0.3 metres, Beam 1.75 metres, Depth 0.5 metres. 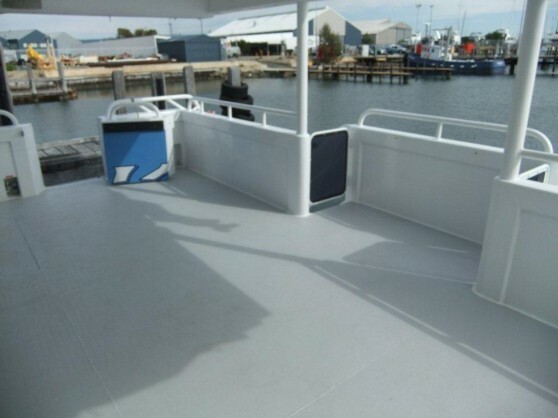 All fishing will be based out of tenders that launch from the mother ship, on a 2 per boat basis. 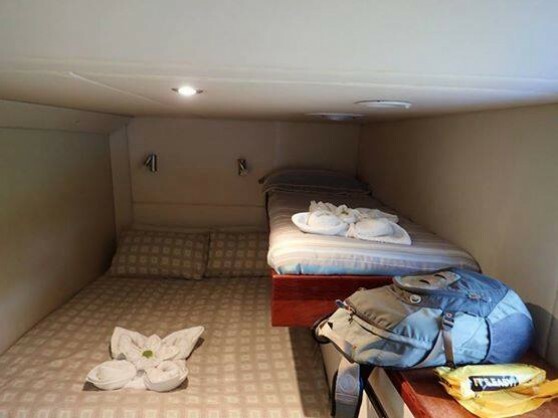 The mother ship is a very comfortable fully air conditioned ocean going catamaran, with hot water showers and there is a full time chef on the boat who will cater all meals on board. International airport arrival transfers to and from mothership. Day 1: Arrive in Port Moresby, transfer flight to Alatou. You will be picked up and shuttled to mothership to settle in. Day 2: Head out into Milne Bay to explore the many reef and coral outcrops. Proceed with full day fishing. 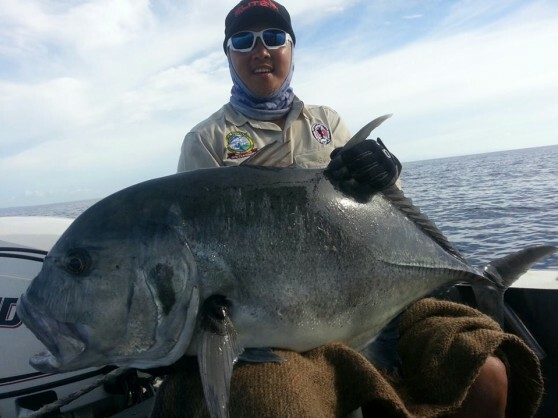 Day 3 - 7: Alternate between reef and river fishing as conditions allow. 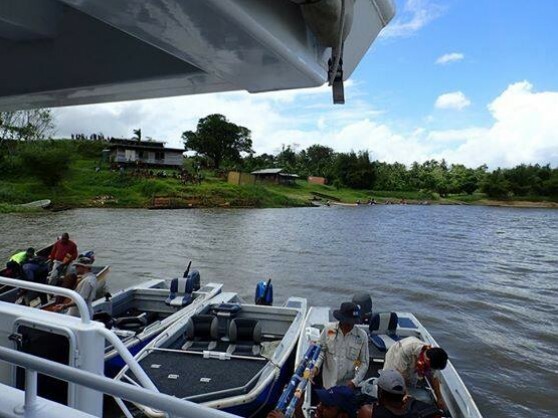 Visit local villages along the way as you make your way along the coast to Port Moresby. Every dish is freshly made, inspired by local cuisine and suitable for everyones taste. Any special dietary requests/allergies can be catered for. Fresh fruit or even blue mountain coffee (PNGs finest coffee) to start off the day. Toast and/or pancakes and a cooked breakfast of eggs and bacon will be provided, and on leisurely mornings there will be continental breakfast. A range of sandwiches (Tuna, chicken, lamb and steak) will be available dependent on availability and you can enjoy the option of heading back to the mothership for a cooked lunch on-board. Snacks and fruit is provided while out fishing on the water everyday. Catch of the day-fish, lobster or mud crabs or selection of meat and vegetarian dishes. We provide our clients with bottled water and a range of soft drink. Alcoholic drinks are extra. These are pre arranged for clients.